Tracksounds: Mirror's Edge: Still Alive - Contest Winners! Mirror's Edge: Still Alive - Contest Winners! 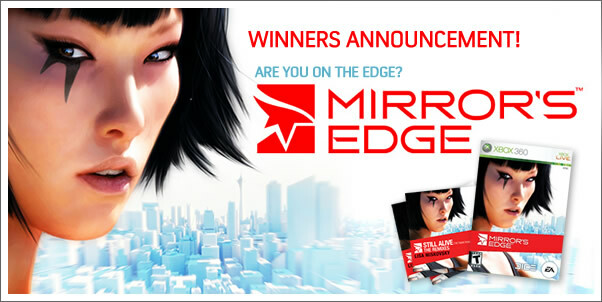 Here are the 5 winners of our MIRROR'S EDGE: STILL ALIVE contest. *All winners have been contacted via email with instructions on how to claim their prizes.